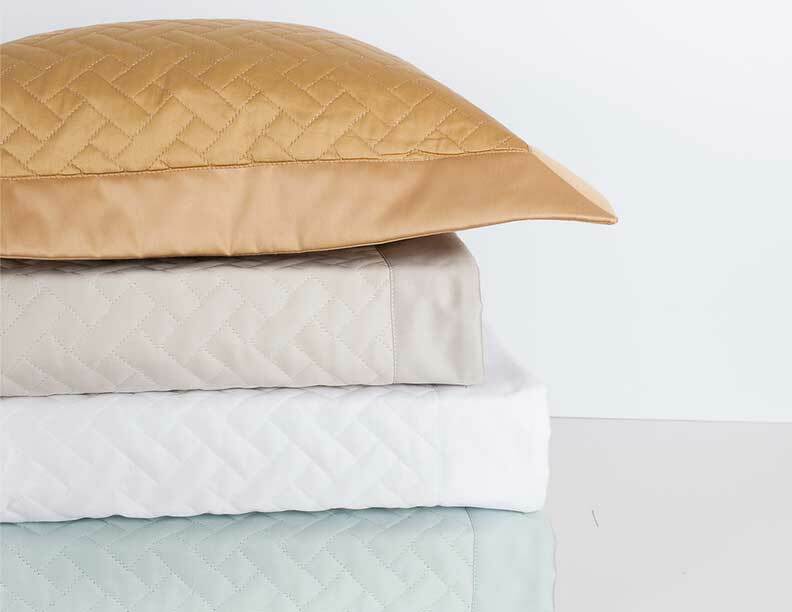 This beautiful basketweave pattern, quilted on Egyptian cotton, Italian sateen, is a classic addition to any bedroom. Machine wash warm. Wash dark colors separately. Do not use bleach. Tumble dry low heat. Iron as needed.